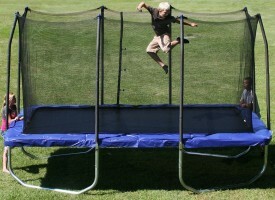 Upper Bounce “Spacious” Rectangular Trampoline – Perfect choice for for all trampoline enthusiasts. When this trampoline was assembled we were charmed by looks! It is a masterpiece (or very close to it) and Upper Bounce shown once again who is the master of trampolines! Upper Bounce „Spacious“ trampoline is not only a trampoline made to last, but trampoline which would withstand all kind of activities while providing maximum amount of fun. 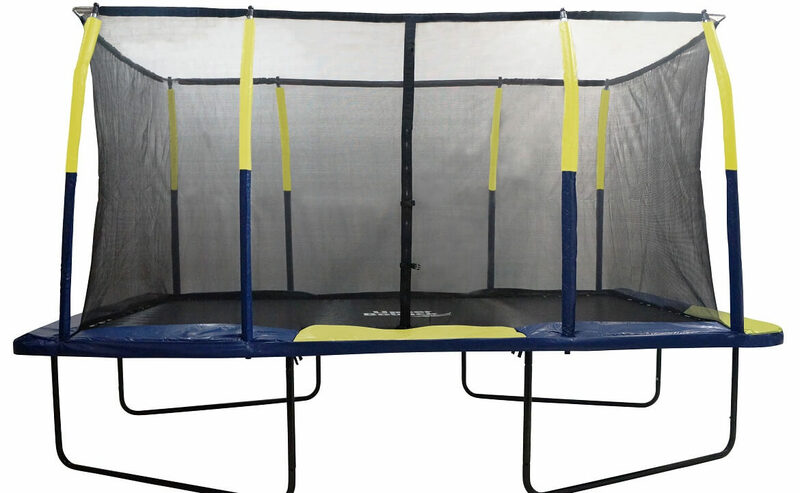 As it comes from brand manufacturer, which is one of the market leaders in trampoline industry, we are sure that this trampoline by all quality indicators should be well above the standard. Were we wrong or not? Answer below! 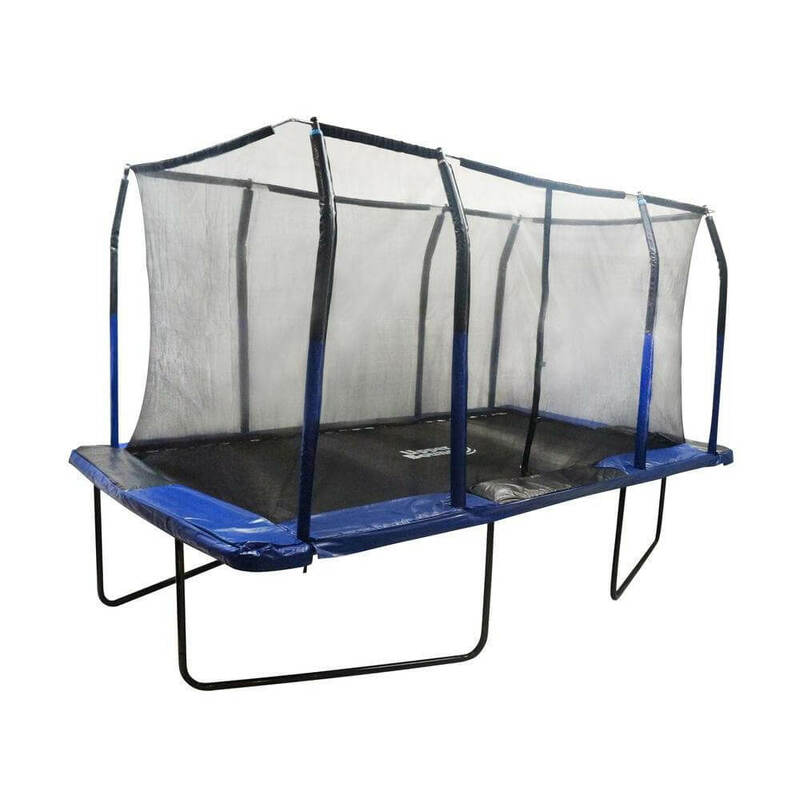 Made from very durable and thick frame and with additional stability support from “FiberFlex” Enclosure which interconnects all parts, “Spacious” is trampoline which can withstand anything. 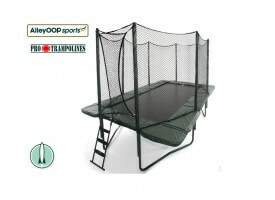 Overall dimensions of trampoline are 96″Lx168″Wx106″H (in ft: 14Lx8Wx8.83H) with total weight of 310 lbs. (140kg). Height from bottom to top (with enclosure) is 95-inches. Difficult assembly – make sure to read instructions well. Also make sure you have spring hook tool! Quality of poles and joints for top ring is poor. 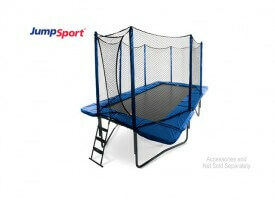 All in all, this trampoline makes a good purchase for all aspiring gymnasts and even competitive jumpers. Perfect for families where all family members would use this trampoline. 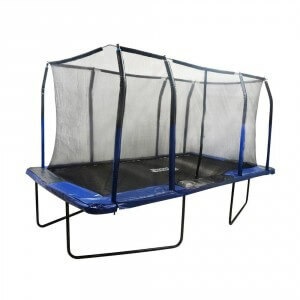 Get this Upper Bounce rectangular trampoline and you’re in for the bouncing experience of your life! If you have chance, buy it. 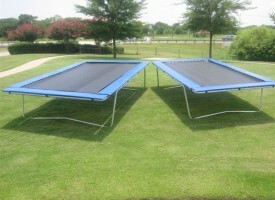 Check other Reviews of Rectangular Trampolines! Good sized rectangular trampoline which won`t disappoint you. It has good size, good overall quality and it comes with very good price. Excellent buy. 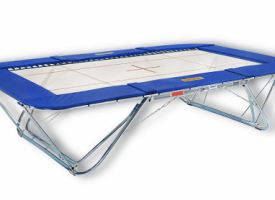 Ultimate 4×4 by EuroTramp – Competition Trampoline!